The end of the 1950s saw a drastic change in fashion photography—a kinetic, freewheeling, rule-breaking “documentary” style pioneered by three unlikely East London working-class “bad boys”—David Bailey, Terence Donovan and Brian Duffy. Perhaps the most technically sophisticated of the three, the inventive and wildly acerbic Duffy initially picked up photography “as an easy way to make money” after seeing a few contact sheets in the office of a fashion magazine he was working for as a freelance illustrator. It turned out that his instincts were correct, for him at least—Duffy soon found himself at the forefront of a rebellious, groundbreaking new photographic sensibility that would document and reinvent the image of 1960s London. Duffy, Bailey and Donovan, who quickly became notorious throughout London press as “The Terrible Trio” or “The Black Trinity” (the latter nickname bestowed upon them by photographer Norman Parkinson) ushered in the visual spirit of the “Swinging Sixties,” meanwhile completely changing the image of the fashion photographer established by the predominantly upper-class “gentleman” photographers of the 1950s like Parkinson and Cecil Beaton. As Duffy himself once said, “Before 1960, a fashion photographer was tall, thin and camp. But we three are different: short, fat and heterosexual.” The three even inspired Michelangelo Antonioni’s first entirely English-language film, the cult hit Blow-Up, about a jaded young fashion photographer working in mod London. Irreverent, short-tempered and wholly unafraid to take risks, Brian Duffy embodied the playful dynamism and vibrancy that would come to characterize the 1960s, replacing the static, untouchable ambiance of 1950s imagery. Throughout his incredibly successful career as one of Britain’s reigning photographers, Duffy created revolutionary spreads for Vogue, Elle, Glamour, Esquire, Queen, The Observer, The Times and The Daily Telegraph. 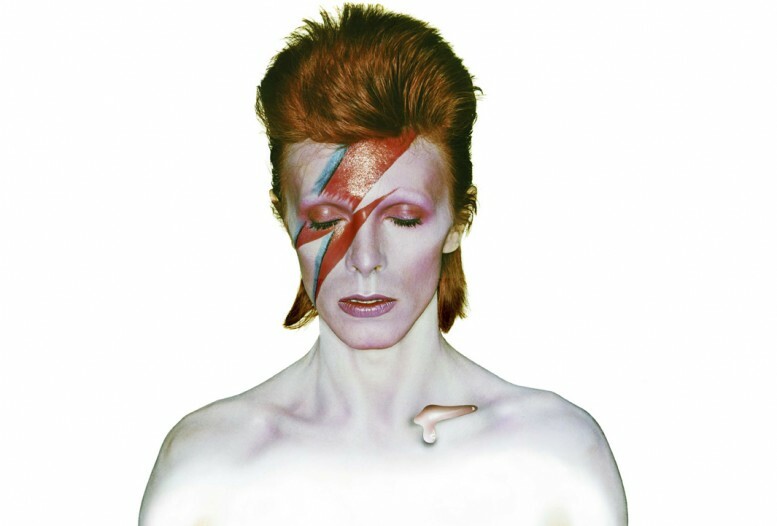 He generated some of the most iconic images of the 1960s and 70s—from the album cover of David Bowie’s Aladdin Sane to some of the most renowned images of celebrities like Jean Shrimpton. Grace Coddington, Jane Birkin, Michael Caine, William S. Burroughs, Debbie Harry and others. Within the realm of advertising, the prolific Duffy lent his unique vision to two Pirelli calendars and shot award-winning campaigns for both Benson & Hedges and Smirnoff. ANNABEL GRAHAM: Your father captured and helped create the image of the “Swinging Sixties.” What about his particular method, style and personality do you think most set him apart from other photographers of the day? CHRIS DUFFY: Ultimately… and it’s changed today, but I think photographers of the sixties had a lot of power. Clients came to them because they had a particular look and way of doing things. I mean, if you think of Helmut Newton pictures, no one else did that kind of picture, a Guy Bourdain could only be done by Gilles, and that was because photographers did have immense power, they could say how or what they wanted to do, which I don’t think really exists today. Most pictures that I look at, I mean I see hundreds of names all the time, but I couldn’t tell you one photographer from another. It all looks exactly the same. I think in part that has to do with technology, because the digital medium now has changed the game plan. I mean, in this period, in the sixties, all these pictures you look at are a fraction of time on a piece of film. The digital medium, with your recorder there, which is also a camera… if I take a picture of you, first of all, where does it exist? You can’t see it, taste it, smell it, touch it… so, I take a picture of you now, you email it to someone, they change the color of your hair on PhotoShop, they email it to someone else, and they put a background in, and then it comes back to me, where does it exist? There’s no way of knowing what the picture is, because you’ve extended the envelope of believability by digitally compositing elements. Now, traditional mechanical photography, the dynamic it deals with is a metaphysical condition, it’s about a slice of time, a moment in time. And a great picture is not a moment before that or a moment after that, it is that moment… and so it’s a very different, I think you need to differentiate between traditional-style photography and the new digital medium. So, in a roundabout way, in answer to your question about what made Duffy different, ultimately, it was a reflection of his personality. Every photographer infused and had different techniques to get people to react in certain ways or they had affections for certain styles, certain looks with cameras and lenses and techniques… it’s just a reflection of his personality. DUFFY: Which was, well, he was a natural anarchist… he pushed himself very hard and always tried something new. I think that’s always risky, in a way, it’s much easier to be safe and keep producing the same kind of image, and people like that and you get paid for doing it, but he always wanted to kind of push it as far as he could go. He had a short fuse, he didn’t suffer fools lightly, and he was an incredible intellect; his depth of knowledge on so many subjects, from jazz to food to art to furniture to poetry… So photography was just one part of his makeup, really, I mean it was the medium that he expressed himself in. GRAHAM: I read that he originally just picked up photography as an easy way to make money. DUFFY: Well, yeah, originally, he started out, he went to St. Martin’s [School of Art], and he wanted to be a painter. And then what he realized in his class was that there were so many brilliant geniuses, so he went into the dressmaking department. So he had an innate understanding of fashion. Then he started illustrating and got freelance gigs for magazines like Harper’s, and it was when he was in the office of one of the magazines that he saw a set of contact sheets, and he said, “Oh, these all look the same!” and the fashion editor said, “No, no, if you look carefully they’re all different!” And then he realized at that point that that was probably much easier than sitting down drawing things. So he took up photography. GRAHAM: And he happened to be good at it! DUFFY: And he happened to be good at it. Well I think actually he would be good at anything he put his mind to. GRAHAM: Yeah. It seems he was good at a lot of different things. DUFFY: He was incredibly talented. He then went into film, into commercials, and then when he jumped out of that he’d always had a love of furniture and he was very good with his hands, at making things, he had an amazing workshop at the back of his studio, and he went into furniture restoration. I think by ’79, after working from the late fifties, he saw the writing on the wall, or what was going to happen with photography, and its demise. GRAHAM: That was actually one of my next questions. What do you think sparked his ultimate disenchantment with the world of fashion and photography, and the burning of most of his negatives in 1979? DUFFY: Well, I think that after being in the business that long, he felt that he wanted to go out while he was still at the top, and not just water down, you know, become a pale imitation of what he’d done before. I think he’d just had enough. GRAHAM: He went out with a bang. DUFFY: He did. I mean, you know, he actually burned a lot of his… well, we’re not really sure how much he burned, but there are big gaps in the archive where you look through and for example you get Job #900 and the next job will be #1008 or something, you know, there’s a big chunk missing. He just started arbitrarily burning things in the back garden on the bum fire to get rid of them. Luckily, he got stopped by the local council… we’ve got a lot of stuff, but I still keep finding things. There are archives around the world that have got pictures that I’m still uncovering. I mean, he was working every day for 25, 30 years. I worked for him from ’73 to ’79 and we just worked all the time, just continually. Nonstop. GRAHAM: What was the experience of working for him like? DUFFY: Well, you couldn’t have had a better apprenticeship or grounding. He was the ultimate craftsman. It was demanding, but in the end, a privileged position to be in… to fly around the world and work with a top photographer and meet incredible people and learn so much, really. GRAHAM: This is the first-ever U.S. exhibition of Duffy’s work, right? DUFFY: That’s correct. We had a small David Bowie exhibit last year, but this is the first solo retrospective. GRAHAM: Now that you’ve been archiving his work since 2007, are there plans for more exhibitions in the U.S. and worldwide? DUFFY: Well, we just got approached by a gallery in San Francisco, it’s the Modern Book Gallery, I think? So we’ll see how it goes. This year we’ve had… Gosh, I think this is about our eighth exhibition already this year. We started out at the Alinari National Photo Museum in Florence, and that’s been a major success, they extended it twice… We are in Monash Art Gallery in Melbourne, we just had the original Aladdin Sane dye transfer at the Victoria & Albert in London, we’ve got this show, we’ve got one in LA, and then we’ve got plans for Spain and Germany at the end of the year. We’ve got another UK exhibition at the Montpelier Gallery in Cheltenham at the end of the year, so it’s pretty full. GRAHAM: Will those exhibitions show these same photographs? GRAHAM: Do you have a favorite of your father’s photographs? DUFFY: Well, there are so many pictures that I like… but one of my favorites is this portrait of William Burroughs over there, taken in 1960, with the soft machine and the typewriter, which actually William Burroughs offered to my dad for 15 francs… which he said he bought, but I haven’t found it yet. If I do, that will be an amazing feat… But he photographed him again in 1974 in London, and the portrait was Burroughs holding that picture, and it was shot for Rolling Stone, but he cut Burroughs’ head off. It’s just his body holding the picture of himself taken in 1960. It’s in the book. That’s one of my favorite pictures, because it’s just so anarchic. To take a portrait of someone, and cut their head off… I mean, if I told you I was going to take a portrait of you and cut your head off, you’d say I was mad. Duffy: A Retrospective of Photographs by Brian Duffyis on view until June 3, 2012 at Clic Gallery, 255 Centre Street, New York.